The standard for our 2013 wildlife photography competition was exceptionally high and so, in addition to the two winning entries, the judges have selected three entries that deserved special commendation. Click on each of the photographs to see an enlarged image. The judges were especially impressed by the simplicity of this powerful image and felt that its strength lay in this pared back approach to animal portraiture. 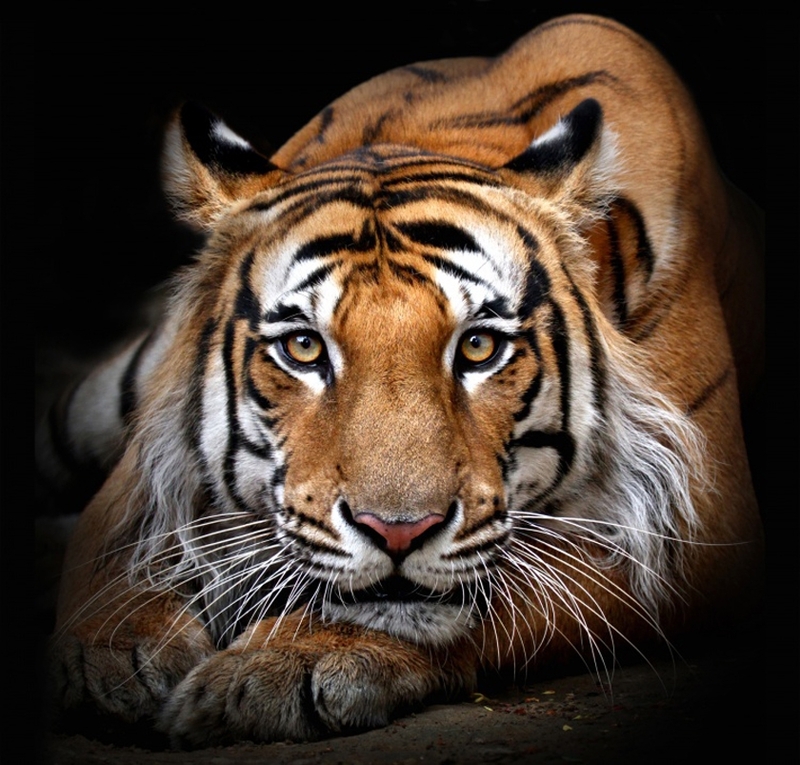 They noted that the tiger was interested and alert and felt drawn to it by the commanding eye contact. Technically they described it as 'well framed, composed and executed' and felt it was well lit, with the detail of the fur and features crisp and sharp. The judges felt that the strength of this striking picture was the immediately recognisable silhouette and strong shapes within the photograph, with a pair of 'v's mirroring each other. They felt the shot was smartly lit but would have liked to see the subject set slightly to one side of the photograph rather than slap bang in the middle. 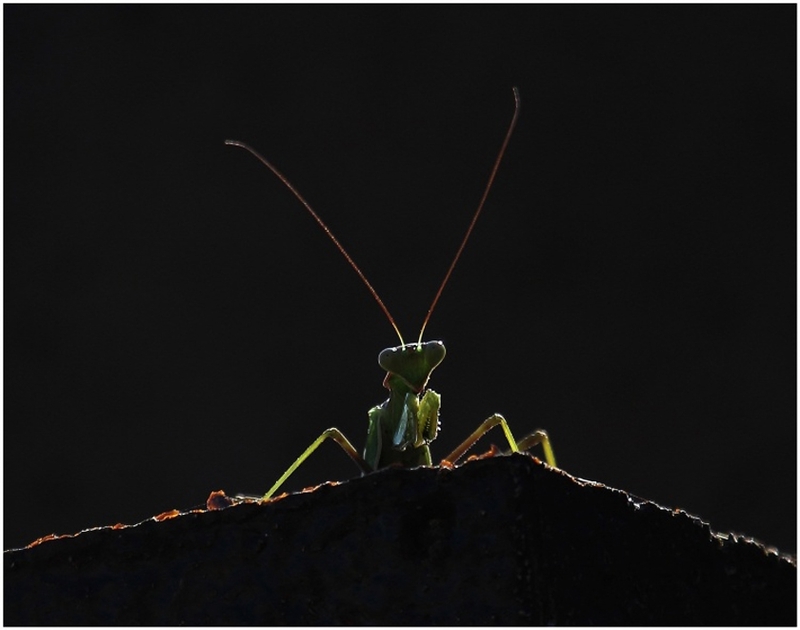 They enjoyed the latent humour in the image as well, created both by the improbable shape of the mantis and the stance that the photographer captured.